What is the world coming to when a man can't take the steps necessary to defend his home and family from mammalian invaders? Ask Cedric Newton, who was charged last week with reckless discharge of a firearm simply for trying to protect his wife from an attacking bat. According to Newton, the bat infiltrated his residence sometime around midnight on July 24 and "attacked" his wife. 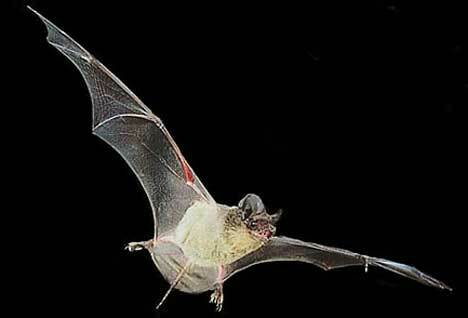 (This was probably a misunderstanding, since almost all bats eat only insects or fruit. None are currently known to feed on wives.) Newton responded in the prudent manner that experts recommend in such cases, by grabbing a .38-caliber revolver and blazing away at the flying mammal. Newton said he fired several times at the bat, "eventually wounding it." That part of the story does not seem very plausible, frankly. First, as someone who has actually been accosted by a member of the order Chiroptera (I woke up with one on my leg, which I can't say was a pleasant experience), I can tell you that bats are tiny creatures that would be hard to hit even if motionless, let alone fluttering around in dismay as this one almost certainly was. Second, no details were provided as to how Newton managed to hit a bat with a .38-caliber slug and yet only "wound" it. I would think if you did manage to shoot a bat, it would probably stay down. By the time [Newton] was done shooting, a bat was wounded and an adjoining vacant townhouse had three bullet holes in its freshly painted walls, a dent in a metal closet door and a dent in the stove, according to charges filed Friday in Ramsey County District Court. Newton was not unaware of the potential danger posed by rounds that might not end up in the bat – he just seems to have underestimated it. According to the criminal complaint, he did have his wife go upstairs while he engaged the intruder, "but apparently gave no consideration to the surrounding townhomes." 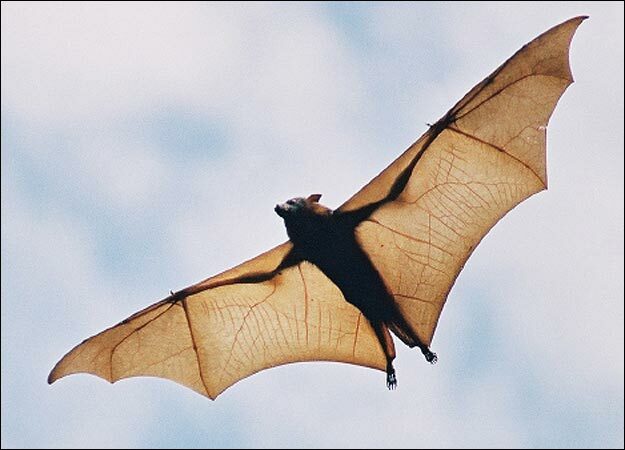 The Center for Disease Control has instructions on how to deal with bats in the home. "Open fire" is not recommended, but then that is easy for the CDC to say when it has never had to confront a sudden bat attack on its wife. Wikipedia also offers this advice: "If it is certain that nobody has been exposed to the bat, it should be removed from the house. The best way to do this is to close all the doors and windows to the room except one that opens to the outside. The bat should soon leave." Should the bat decline this invitation, though, and instead take a seat on the couch, eating your snacks and ordering up a bunch of pay-per-view, then more direct action might be needed.